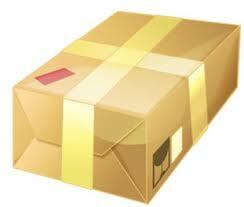 Shipping: We ship via UPS which delivers to the 48 contiguous states in 5 to 8 business days. Orders outside the continental US (AK and HI) will be shipped via US postal service and take 9 to 12 business days and is not eligible for free shipping. At this time we do not ship to international destinations. Note: it takes approximately two business days after your order has shipped for your tracking info to be uploaded into this system, if you did not find the tracking info you desired then check back a day or two later for it.